In January 2014, I discovered two letters at the UK National Archives. 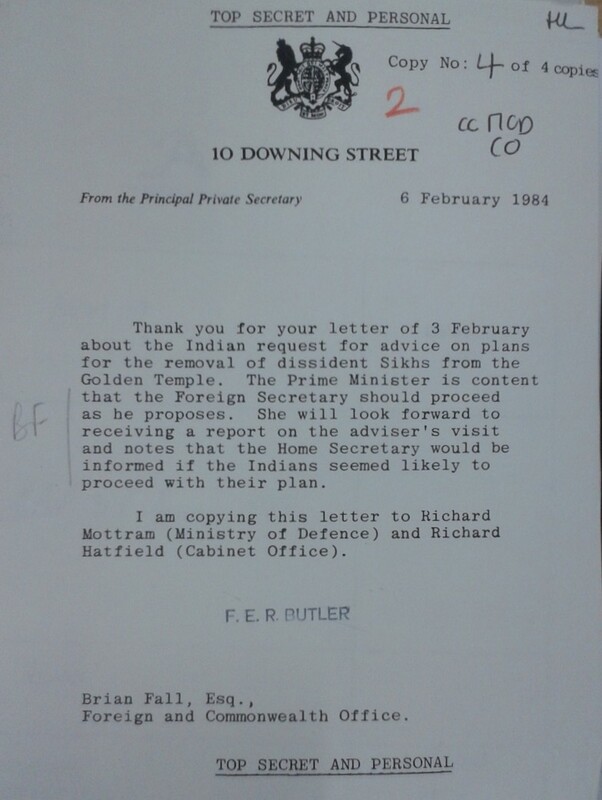 They revealed that Margaret Thatcher sent an SAS officer to advise the Indian army on a plan to attack the Golden Temple in Amritsar ahead of a massacre of Sikh pilgrims in June 1984. 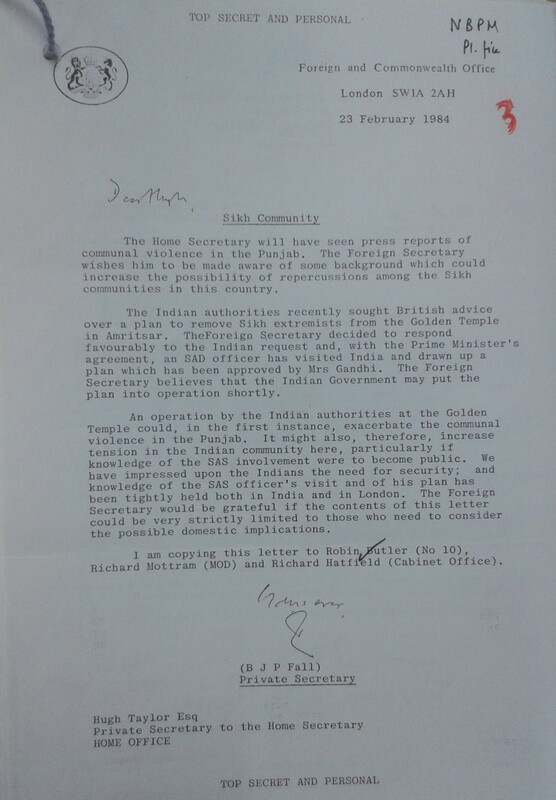 This discovery triggered debates in the British and Indian parliaments, and led Prime Minister David Cameron to order two reviews into the declassification of government documents, by Cabinet Secretary Sir Jeremy Heywood and by former head of the Joint Intelligence Committee Sir Alex Allan.